I haven’t read much fiction about the resurrection, so I was interested to listen to this book. I am glad I did. The characters were each unique in their own way. I especially liked Joseph, Cleopas, and Nicodemus. Stephen Floyd brought them to life very realistically as well. I loved the accents he used for some of the characters. I loved how much Scripture was brought alive in this book in the dialogue. It was well done and the parts that were not from the Bible fit in with the time period. Sarah brought in three of my favorite stories in the New Testament and wove them together in a way I had never thought of before and did it very well! The story was well-written and the use of the Bible done well without it being all straight from the Bible. The production of the audiobook was well done, too. The narrator did a good job portraying each character as well as the narration. 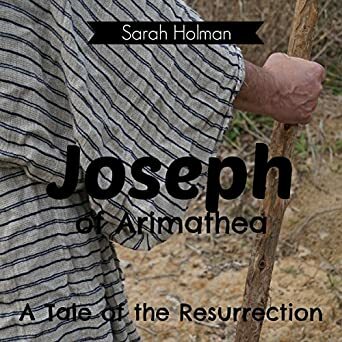 This is a short story and audible says it is 36 minutes long, so it would have been hard to put down simply for that fact, but even though I knew roughly what the end of this story would be since I know my Bible, I still didn’t want to stop listening. It helps that the narrator had a good voice that is easy to listen to. If you are finding the Resurrection story to be stale, try listening to or reading this short story. It will help bring the story alive again.